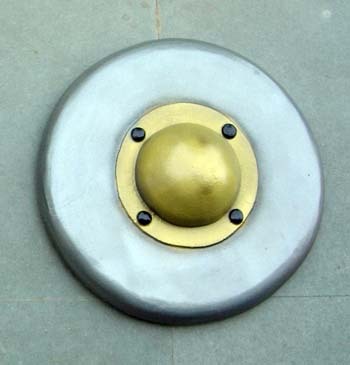 This is the second smallest of the round shields; the Footman's Metal shield is slightly smaller. The difference between the two lies in the type of grip: this shield uses the single center bar in the middle of the back of the shield. This single bar grip makes it extremely maneuverable and very, very, fast. On sale now! Normally $65!